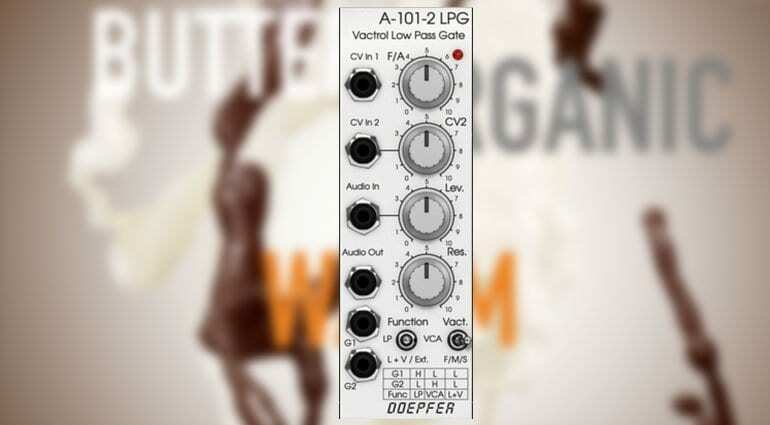 Softube’s Modular virtual Eurorack continues to farm the best of Doepfer’s modules with a model of the A-101-2 Low Pass Gate (LPG). The low pass gate, invented by Don Buchla, brings a remarkably lifelike and organic response to modular synth patches. They describe it as “Organic, buttery, warm, woody, rubbery, musical, natural, acoustic” which nicely conjures up the character of the vactrol based module. A vactrol is a light dependent resistor and a light source bound up in a light proof space. The interaction between the light and the resistor is what gives it the remarkably natural response. 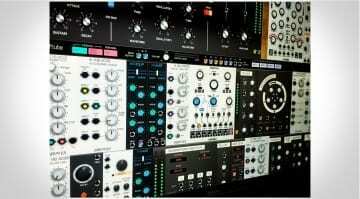 Doepfer took the Buchla design and added their own features like resonance control which can introduce screaming all the way to self-oscillation. The A-101-2 Vactrol LPG comprises of a 12 dB low pass filter and voltage controlled amplifier. Softube then augmented it further with a “Vact” switch to select between slow, medium and fast vactrols. 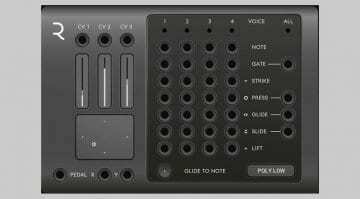 The new module comes with a bunch of new presets and is available now for an introductory price of €29. You can also try it out for free for 20 days – but, of course, you’ll need to own Softube Modular. 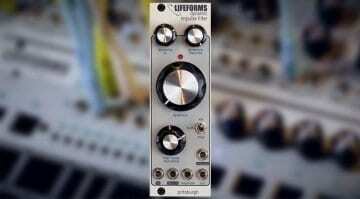 Musikmesse 2016: Softube teasing something modular – Updated!